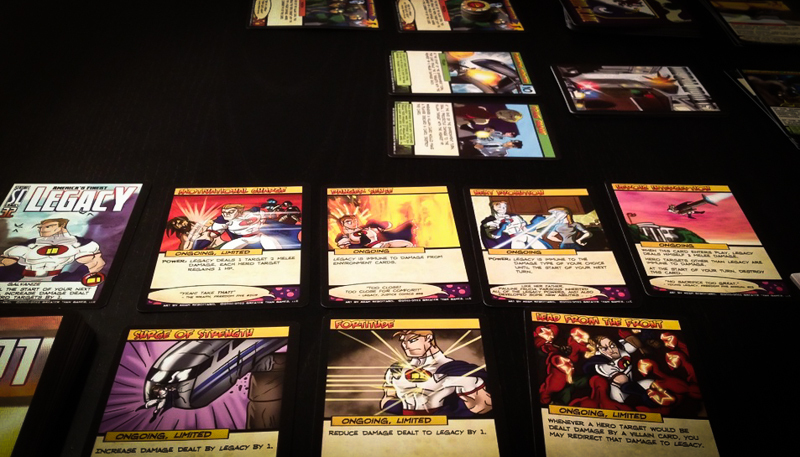 This Sentinels of the Multiverse review was made after playing the game about 10 times. What is Sentinels of the Multiverse? Sentinels of the Multiverse is a superhero card game that is similar to many of the most famous comic book franchises, but with its own unique characters and backstories. The game, which allows solo or cooperative play for up to five players, has everyone controlling different heroes against a supervillain. All of these characters (and environments) can be mixed up in various ways to create a large number of different scenarios. As a result, each game is going to be a bit different, which allows for immense replay value. Sentinels of the Multiverse was published by Greater Than Games and was designed by Christopher Badell, Paul Bender, and Adam Rebottaro. The Sentinels of the Multiverse rules are pretty straightforward.We’re only going to go over the basics here, but that should give you a feel for how to play the game. Each hero has 40 cards and a character card that shows the initial hit points of each character.Each player shuffles his or her deck, draws four cards, and then you’re ready to go! When a player has their turn, they must play a card, draw a card, and use a power provided by their activated cards. Then the environment and the villain take their actions. Players work together to defeat the villain, but if a hero has their hit points fall to 0, they will not be able to use any cards or powers and will effectively become an incapacitated hero. They can use certain abilities at this point to help the other players, though. If the villain has his hit points reduced to 0, the players win. If all the players are incapacitated, then the villain wins. Sentinels of the Multiverse is all about superheroes and working together in a cooperative fashion to defeat a villain. The theme comes through very well through the beautiful artwork on the cards and the flavor text on just about everything in the game, including the rulebook. Even people who are not very into comic books will probably get a kick out of the theme in Sentinels of the Multiverse. Sentinels of the Multiverse has excellent artwork and the gameplay is quite smooth once you understand the rules. It’s not a very complex game, but there is plenty going on to keep everyone’s interest levels high. There have been many instances where we have gotten so immersed in the game that we started speaking to each other as if we were our characters. This is something that we always hope for in thematic games. Sentinels of the Universe requires a lot of teamwork to succeed, which is always great when it comes to co-op board games. You simply cannot win this game without working together! The one con that you will find in this review has to do with the HP counters. It can be very tough to track the hit points for every character in the game, especially if you are a newcomer. If someone doesn’t track the hit points correctly, it can make the game grind to a halt and can be pretty frustrating trying to correct any mistakes you’ve made. Sentinels of the Multiverse has been very well-received and is seen by many as being one of the best tabletop games of 2011. While dealing with the HP counters can be annoying, this is a minor problem that will not impede the overall enjoyment of the game. 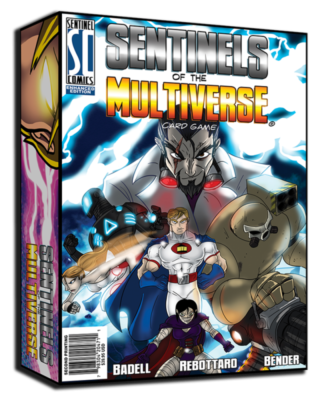 Anyone who enjoys cooperative card games and/or superheroes will love Sentinels of the Multiverse! You can also test out the game by getting the Sentinels of the Multiverse app for iOS, Android, or on Steam. Thanks for taking the time to read our Sentinels of the Multiverse review!